Public parking is available around the building and along street. Please be aware of Sedona Fire Department exits. Follow 89A to Southwest Drive. 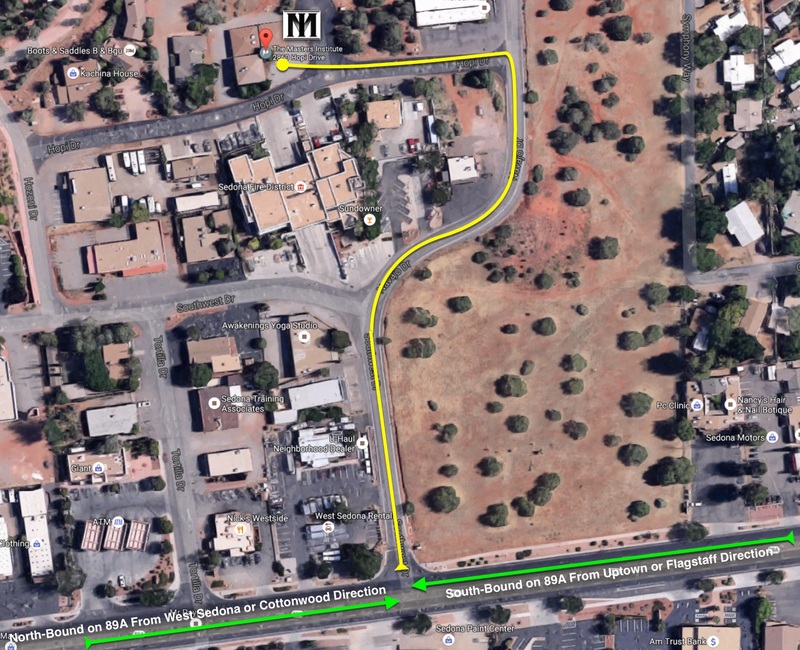 Follow Southwest Drive and stay Right onto Navajo Drive. Continue on Navajo Drive to Hopi Drive (on the left). Turn left on Hopi Drive. The Masters Institute is the second building on the right. Click HERE to view a detailed map to our offices!